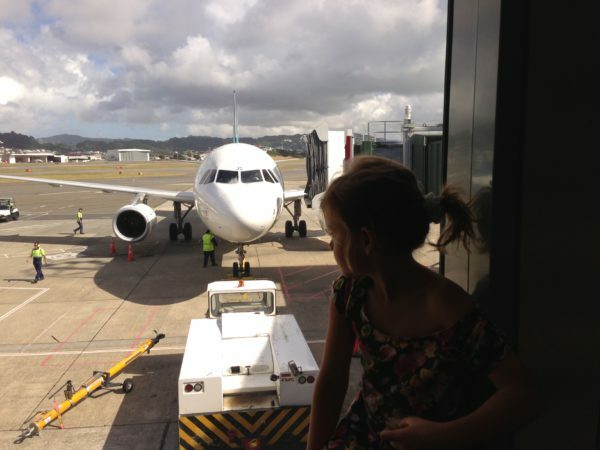 How many grandparents would step off a plane, after travelling from the UK to Wellington, New Zealand, non-stop (two looooong international flights and one domestic) and handle a full day with three energetic granddaughters – with NO nano nap?! My grandchildren have SUPER Grandparents (but – they just don’t know it… yet!). One day, in their old age, they’ll remember. They will – maybe – maybe not – be grandparents – or at least be around children in their senior years (hoping they don’t go off the rails and actually get to their senior years). And they will then, FINALLY, realise what ‘old’ people mean when they say, ‘I wish I could have what you are on?’ to very young people. 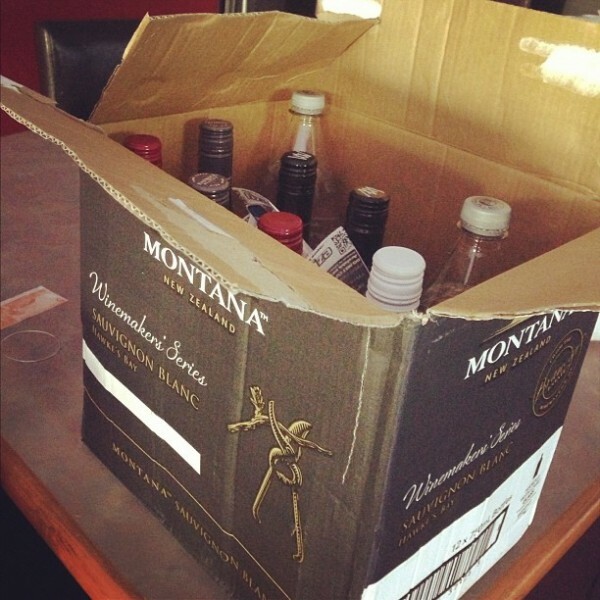 The Super Grandparents arrived at 10am in Wellington (after arriving in Auckland at 5am…. from somewhere in China… after a flight from London… yawn!!). They had not slept horizontal in two nights and yet they stepped off that flight from Auckland as though they’d literally just stepped off a one hour domestic flight, having had a night’s sleep in the Ritz. All smiles they were and genuine affection. 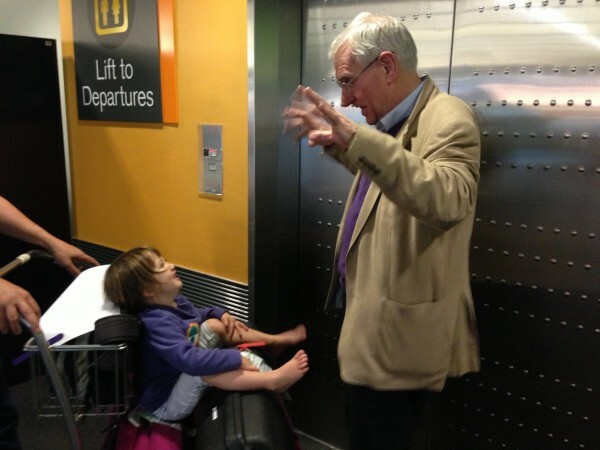 They admired Gollum and the ‘Middle of Middle Earth’ signage at Wellington Airport with genuine interest and hopped into whatever seats were dictated to them by their grandchildren, for their ride back to the house (that they would bravely be staying in for SIX weeks!). Did I mention the music they were forced to listen to… Fatcat and Fishface – the outlaws of New Zealand children’s music. Once home they were shown to their bedroom (that they certainly wouldn’t be able to sleep in for a very, very long day…) and given presents to open (wrapped in a mountain of sticky tape) by their very excited grandchildren. After a brief cup of tea and a sit down they were instructed to get their swimming togs for a visit to the local swimming baths (in the midst of school holidays – peak, crazy, busy time!). 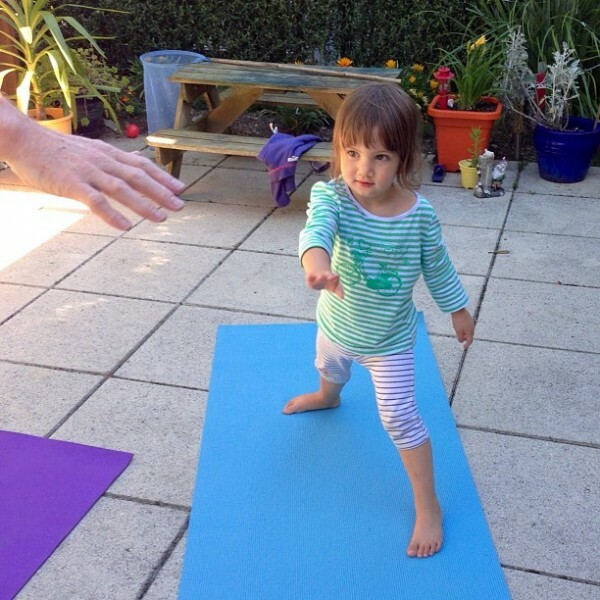 Grandad had been given a yoga workout by Miss 2 in preparation for the swimming pool. Time for a yoga workout after the long haul... with Miss 2 instructing! And, he moved a few new couches (that had arrived whilst we were at the airport) into the living room – and the old ones to the garage – under watchful eye of Miss 6 (sorry – newly turned 7) – who was grieving at the loss of the old couches and decided they were to stay put in the garage, till she’d adjusted to the new ones in the living room. Not only that, but the garage was to be transformed into Miss 7’s ‘chill room’ – since she’d generously given up her bedroom to Grandma & Grandad (not that she actually slept in it anyway – preferring a bed on the floor in her Mummy and Daddy’s room – just built things with lego and played ‘animal rescue’ with Miss 2 – dangling stuffed animals out of the window on Mummy’s silk scarves!)…. Anyway… It’s a wonder that Grandma & Grandad didn’t fall asleep in the car on the way back from the swimming pool (and the pit-stop to the library and play-ground) – but then they were forced to listen to ‘The Wreck of the Diddley‘. Once back at ‘home’ (for the next six weeks) Grandma and Grandad were treated to a display of competitive sparring between Miss 7 and Miss 9, before Daddy came home and the children were nearly outnumbered by the adults (it takes 4 adults to outnumber our 3 children – and then the adults are still on the defensive!). Thankfully Grandad comes prepared with stamina and understanding of the importance of a well stocked fridge – of the liquid variety. Grandma comes with the wisdom of being a primary school teacher for a couple of decades, coupled with a warped sense of humour (especially after a few gin and tonics!). Whilst Grandad took a spin with his son-in-law in the new ‘toy’ car (to stock up the fridge – much thanks Dad! 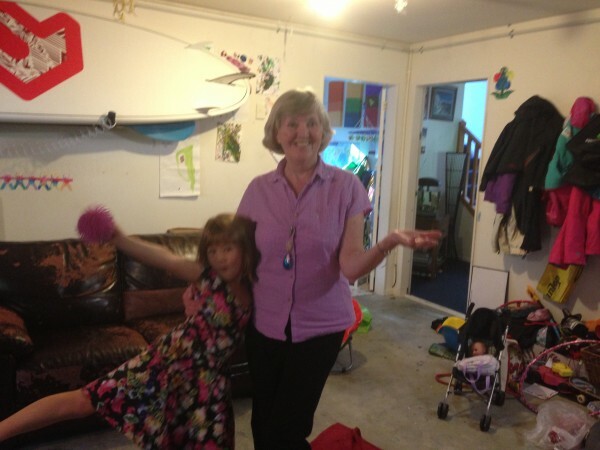 ), Grandma and I were invited into the ‘chill room’ (previously known as ‘the garage’) to play some games with balls and hoops… Grandma gave it her all with amazing, convincing enthusiasm and skill – (top trumps Grandma!). It's all we have left... in our defence! Grandma is awarded some 'bling' for winning a game in the chill lounge! School hols family, family time, Grandma and Grandad Aspinall, parenting, summer hols. permalink.